home > Calendar & News > Latest News > Uncategorised > Super swimmer, Oliver Smithee, achieves 8 medals from 10 races! 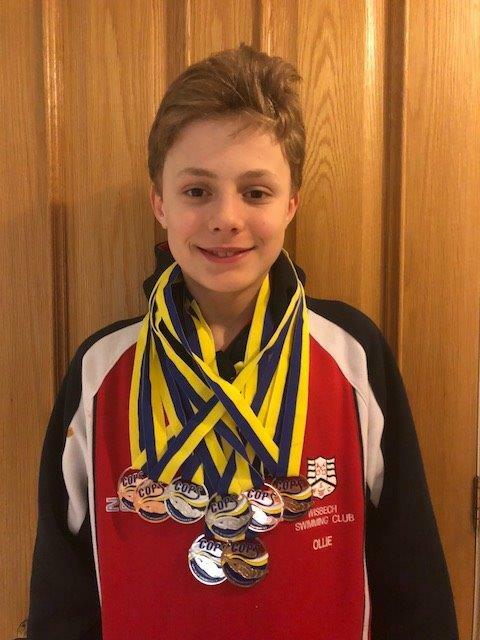 Super swimmer, Oliver Smithee, achieves 8 medals from 10 races! 1st Form pupil, Ollie Smithee (Emneth, Wisbech), recently attended a City of Peterborough open meet and achieved his regional qualifying championship time for 200m breaststroke, being one of only three swimmers from the Wisbech Swimming Club to qualify for the regionals this year. This qualifies him to compete at the annual East Region Championships that are to be held at the Luton 50m pool in May. Ollie had a great weekend coming home with 8 medals out of the 10 races he swam, and all of his times being PB’s too.